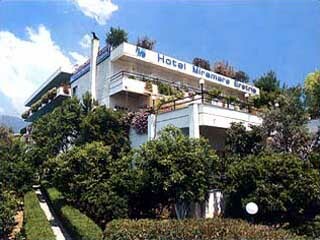 Miramare Hotel is a B’ Category hotel near the beach in Eretria - Evia! Comfortable in wood and mirror decorated Meeting and Banquet facilities with daylight and garden view for meetings, festivities, receptions, celebrations for 10 – 180 persons. 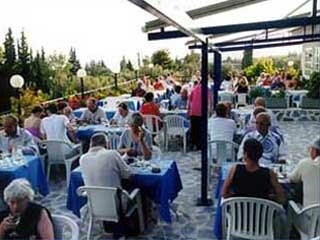 Panorama restaurant on the terrace with beautiful view to the Gulf of the Evia and the opposite hills of the mainland Greece, offers a refined Greek and International Cuisine and Pastries. Hotel lobby with Cheminee-Fireplace, Bar, the Disco Piano Bar is located on the ground level. 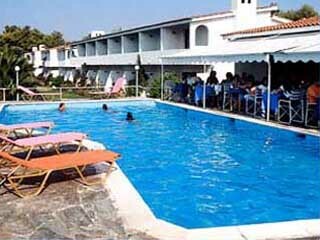 Garden restaurant and Snack Bar are located at the Poolside, providing Snacks, Drinks and Greek Folklore Evenings. 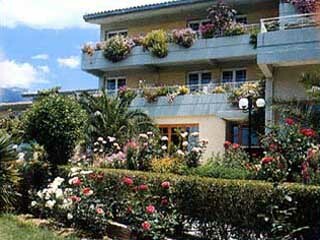 Outdoor and heated Indoor Pool, Tennis Court with lights and Basketball Court, Fitness Room and Sauna. 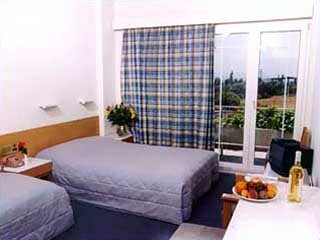 Ideal place for daily excursions to Athens, Delphi, Korinthos, Mycenes, Argolis, Meteora. During winter days enjoy a drink next to the open fire in the main lobby area. Guests can order from a variety of Greek and International quality dishes in the panoramic restaurant. During summer enjoy the sunshine whilst eating! 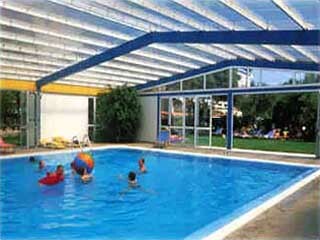 The open air restaurant is located next to the swimming pool, under a pergola. There you can taste famous Greek dishes and fresh fish grilled on the barbecue which is a house specialty. During the summer evenings enjoy your dinner on the panoramic terrace with views of the East Attica coast. 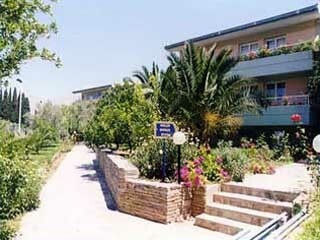 The complex consists of the main house with 44 comfortable rooms and three pavilions with 47 rooms. 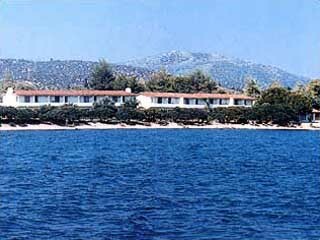 The Miramare Hotel in Eretria, 65 Km from Athens airport family owned and operated, is located in a beautiful garden in the residential area of Eretria, island of Evia. Access to the beach, 130 meters distance through a safe passage and tunnel directs you to the enchanting sea waters. Open All Year... 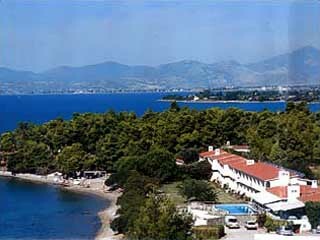 The Miramare Hotel in Eretria, 65 Km from Athens airport family owned and operated, is located in a beautiful garden in the residential area of Eretria, island of Evia. Access to the beach, 130 meters distance through a safe passage and tunnel directs you to the enchanting sea waters.